As a recent HIMSS Analytics survey revealed, more than half of hospitals have yet to take advantage of revenue cycle vendors claims tools, and 31 percent still manually process claims. While the numbers call into question why more hospitals haven't adopted these tools, it also denotes the beginning of change, as Tom Sullivan, the editor-in-chief of Healthcare IT News, wrote. In his piece, Sullivan noted that 60 percent of hospitals participating in the survey stated that they plan on purchasing a vendor solution in the future. That means the industry is reaching a tipping point when all providers will need a more modern and effective solution to handle claims. "The industry is reaching a tipping point." This need, he wrote, coincides both with the transition to value-based care and an upcoming October 1, 2016 deadline set by the Centers for Medicare and Medicaid. Then, the agency is supposed to enforce great specificity from claims using ICD-10 codes. However, as Sullivan argued, this won't be enough. He said that software manufacturers should also recognize the opportunity to provide a number of tools and technologies to make this switch a possibility. "Leading up to the changeover to value-based care, health care organizations should focus on fine-tuning the process of claims denials," Brendan Fitzgerald, the research director for advisory solutions at HIMSS Analytics, told Healthcare IT News. "There's opportunity for both vendors and hospitals to really dial-in these processes." According to Sullivan, deploying these automation technologies helps providers identify and resolve problems as well as resubmit claims faster and more effectively. They can also better track accounts receivable while reducing denial write-offs. Other supporters of automation also recognize the cost and efficiency benefits of automation. 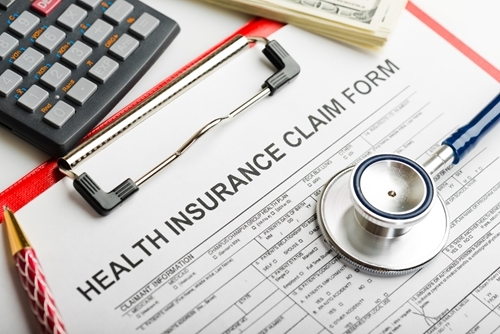 In fact, a survey from America's Health Insurance Plans found that while the average cost of manually processing a claim was $1.36, that cost was reduced to under a dollar when completed automatically.